We grow up knowing more about the world and its icons from photographs, written text, images, films and television than from our actual personal engagement with them. All my life I have had this image of the Eiffel Tower that was both amazing and romantic. 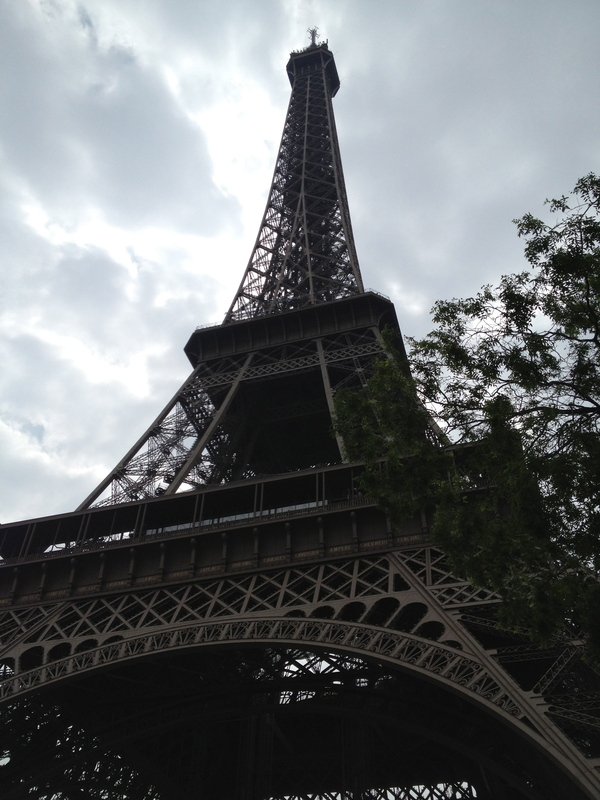 This giant black structure thrusting itself proudly into the Parisian air while around its base scurried the world of Paris, shops, streets, citizens on bicycles carrying long loafs of french bread. I’ve seen numerous films where this beehive of activity at base of this bold structure is played out to great dramatic effect. So, no wonder I was full of excitement and anticipation as I was riding the Metro on the way to visit yet another architectural icon. It’s really difficult when your fantasies are smashed by the sledge hammer of reality. 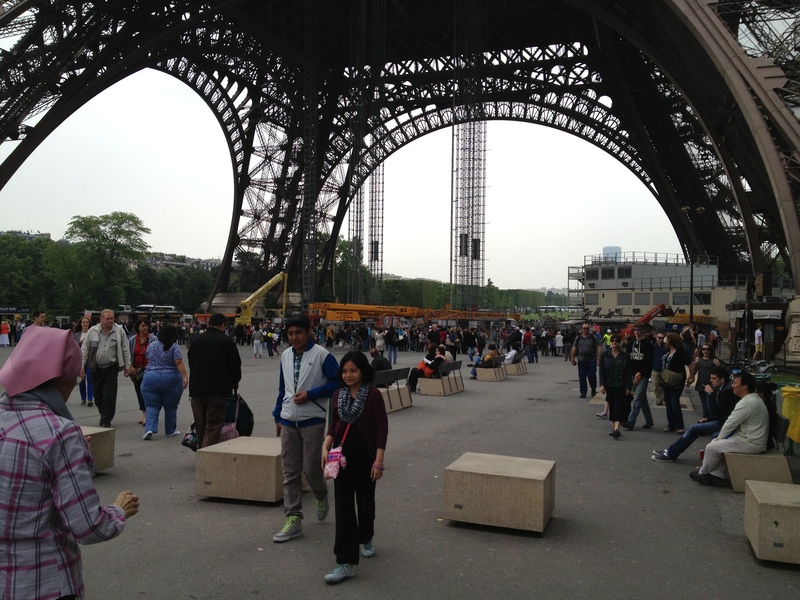 Don’t get me wrong, the Eiffel Tower is truly an amazing and daunting structure. But, it’s Brown! Not black? Since when has it been brown? And what is it doing at the edge of the city in a park? Where are all the shops and pedestrians? How am I supposed to play out my childhood and adult fantasies when at the base of the tower are souvenir shops, fast food kiosks, and so many lines of so many tourists waiting for hours just to get a ticket to wait in yet another line so they can go inside and perhaps to the top. Fantasies and cinematic memories dashed. Sort of a sad moment, really. Did my best to retain the awe of where I was and what I was really seeing. Tried to see the proud obelisk for all that it is .. and tried to ignore the disturbing, this-is-just-another-tourist-site at the base. Maybe I’ll go back another day and ride to the top. Maybe.